Government says it has reiterated its commitment in accelerating the implementation of transport projects in Eastern province as a means of improving connectivity and transportation of goods and services. 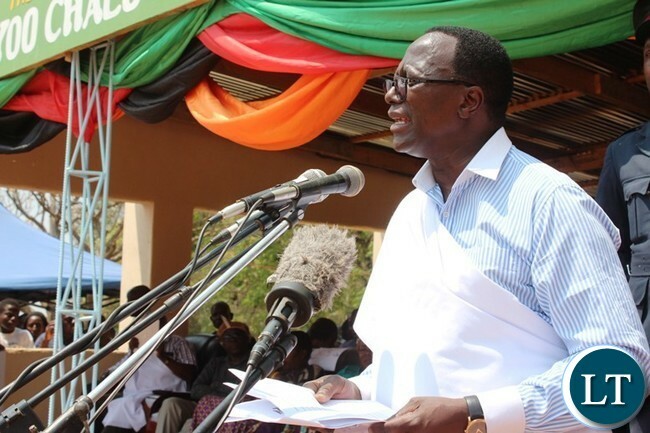 Eastern province Permanent Secretary Chanda Kasolo said government has fort this reason identified a number of Greenfield railway projects that will link the country to the Eastern and Western ports of Africa through Serenje district via Petauke district linking the country to the port of Nacala in Mozambique. “The completion of the project will contribute to increased revenue collection and job creation, rehabilitation of roads, schools, health facilities and improving agriculture and tourism sectors which remain our priority,” he said. ZANIS reports that the Permanent Secretary said this during the Tuwimba traditional ceremony of the Nsenga people, which was held under the theme: ‘Promoting National Development by Preserving Culture and Tradition for the future Generations in Fighting Gender Based Violence (GBV), Early and Child Marriages and HIV and AIDS,’ in Nyimba district this yesterday. He also stressed government’s commitment to supporting initiatives that promote creativity in order to stimulate self-reliance among people in the East Province. “The promotion of such initiatives will enable people in the region realize their economic potential and lead dignified lives. The realization of economic potential especially among women is important in the acceleration of economic growth and sustainable development,” he said. He also revealed that government has released funding for the construction of phase two of Nyimba district hospital. He also stated that something will be done to electrify Kacholola whose development has lagged behind due to lack of electricity.